It’s a solitary business listening on the radio to England’s cricketers’ battle for the Ashes down-under. In a bid to stay awake in the small hours of the morning I’ve been flicking through my extensive archive of sartorial photos. For the most part these are what you’d expect; sartorialist style photos, look-book shots and the like. And then there are the oddities. Photos of a cuff, a weave of cloth, a button or buckle, all in preparation for when I can have my wardrobe made bespoke. They also provide an idea or two for items for my own label, which is slowly progressing. Amongst the numerous bits-n-bobs in the archive are two recent obsessions: the sweeping curve and the sloping heel. The Sweeping Curve: There is a beauty and elegance in a curve, as an amateur artist that was the thing I loved most about life drawing classes. Collars and jacket hems are the ideal place for a sweeping curve. In the picture above on the left is my favourite coat collar so far seen. It comes from a design by English independent label Folk Clothing. 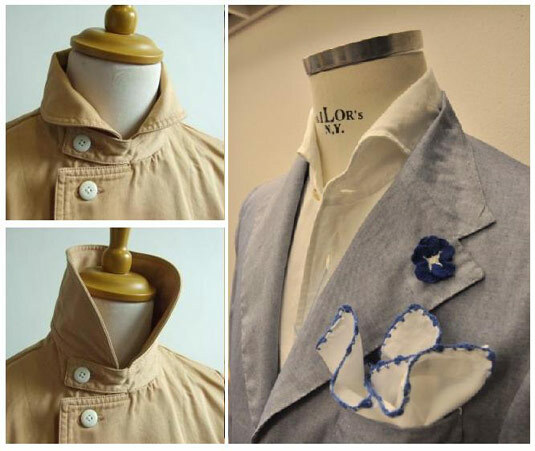 The shirt pictured is by Italian shirt maker G. Inglese Sartoria (which translates as G. English Tailoring) for which this sweeping backward curve to the collar is a staple. Around the face a sweeping curve softens and frames the face in an elegant, almost organic, way. When I posted some time back on my enjoyment of the film ‘The Greatest Game Ever Played’ and early golfing dress it was the sweeping curves of the jackets that interested me most. And it seems I was not alone. 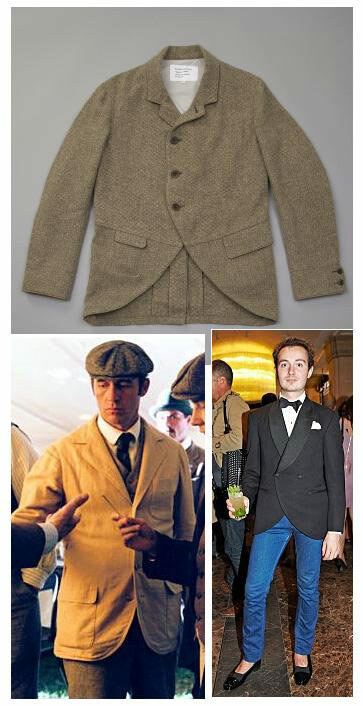 As the picture above shows, label Mountain Research have produced just such a jacket this season. The beauty of the sweeping curve is also highlighted in the picture of Winston Chesterfield’s dinner jacket. Here the curve emphasises a narrow waist and lengthens the leg. The Sloping Heel: Not something you see very often, except perhaps on deck shoes, but it’s a shape I’ve been thinking about for some time. The loafer is in part based on the English house shoe, so to me a low angled heel with that beautiful sweeping natural line is the perfect accompaniment to a loafer. 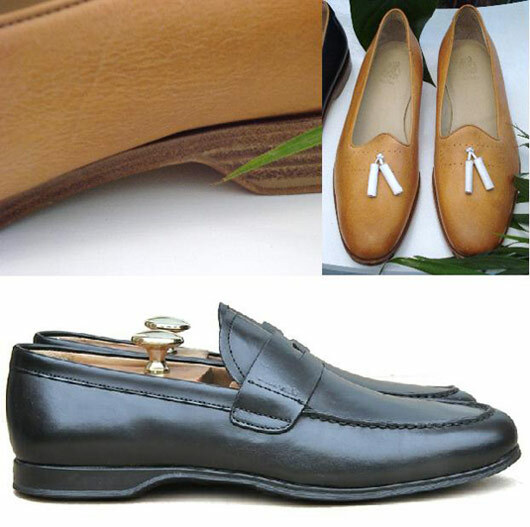 It’s lazy, languid and louche, all the things a loafer should embody in my view. There’s lots more cricket to be played before England clinch the victory that has eluded them for 25 years. Provided I’m not reduced to a nervous wreck, who knows what inspiration I might find by then. Nice article. before i read who wrote it, I assumed it was Winston since he often focuses on the subtle details. What shoes are the tan loafers with the tassels?